This month, a series of officially licensed “Terrarium Collection” Pokémon toys goes on sale in Japan. The collection doesn’t specifically say that this is what the inside of Pokéballs actually look like. But they are shaped like Pokéballs! Priced at 750 yen ($6.80), each one comes with a piece of gum. 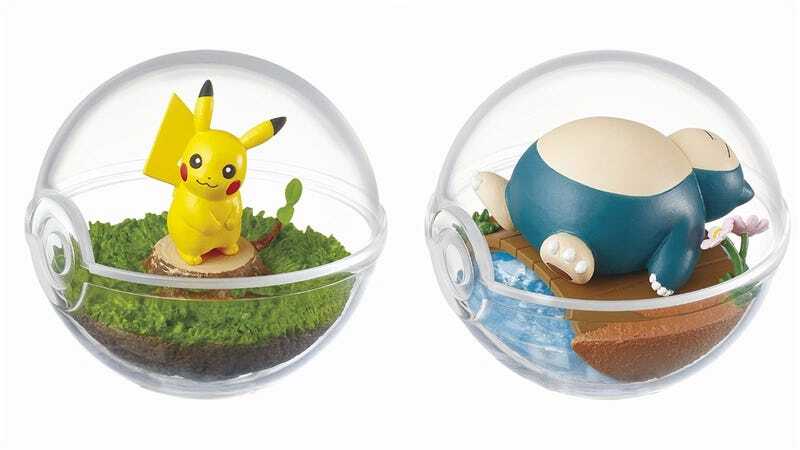 These Pokéball Terrariums remind me of a series artist The Vintage Realm has been uploading since last year. Those pieces are larger and, frankly, more impressive. Among Pokémon fans, there has long been debates about what exactly a Pokéball’s inside looks like. Maybe these artist renditions aren’t too far off?